JSBX: FREEDOM TOWER – NO WAVE DANCE PARTY 2015! Hail, hail rock ‘n’ roll! And all hail the The Jon Spencer Blues Explosion! Back with a brand new album and an Australian tour in August 2015. Freedom Tower – No Wave Dance Party 2015 be thy album name and it’s every bit as triumphant and exciting as the title would suggest. Rehearsed and polished in a string of secret gigs and unannounced opening slots in New York City theatres, hotel bars, and dives (often under assumed names), and recorded at the legendary Daptone House Of Soul in Bushwick, Freedom Tower – like the best sides that percolated up from the Bronx, the Lower East Side, and Greenwich Village across the 1970s and ‘80s – is more than a high-octane dance party record, it is a document of New York City, a chronicle of grit and terror and love! In recent times JSBX have toured Australia appearing at the Golden Plains Festival, Sydney Festival, Hobart’s MOFO and on select double-bills with fellow noise addicts Dinosaur Jr. They return this time for a headline appearance at Supersense – Melbourne’s newest cultural event – also featuring John Cale, Lydia Lunch, Mark Ribot, Chris Abrahams (The Necks), HTRK and more. It’s a (super) sensory overload with the Blues Explosion being the proud bearers of the ‘overload’. 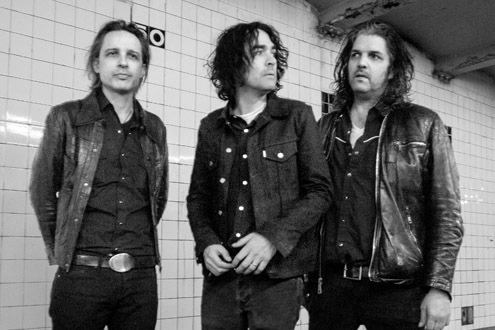 Elsewhere The Jon Spencer Blues Explosion will lift the roof off venues in New Zealand, Brisbane, Sydney, Hobart and Perth.